It’s 3 in the afternoon on the 7th of August and I am calling you from High Camp, 13,600 feet above sea level. The entire team is here and we are settling down now because we will have an early start tomorrow. We came up here quite quickly today; it only took about 4 hours for the entire team to get here. 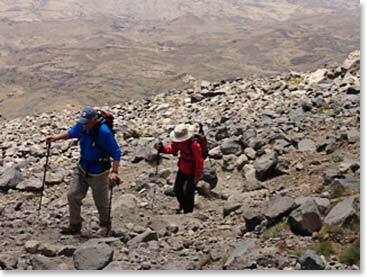 Our loads are being carried up by horses of course; we only climb with small day packs. 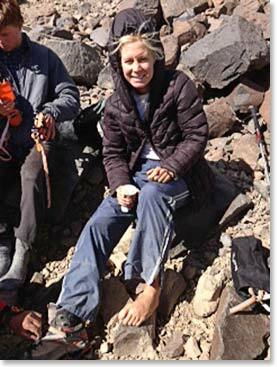 It was a beautiful climb and encouraging in terms of how well everybody performed as they climbed to a higher altitude. We had snacks for us that Mehmet has prepared for when we arrived. And as you can see from the photos this group loves Moon Pies! The boys who run our pack horses on the mountain bring their families dogs along. 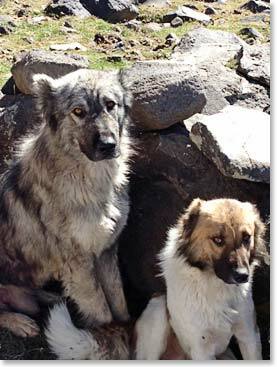 These are crossbred Kangal dogs, which all in Anatolia use. Their ears are clipped because one of their jobs is to fight wolves that might attack sheep or horses. This mother and young adult pup climbed to our high camp today. Bisar shovels ice from the nearby snowfields to keep the drinks cool. We enjoy cokes on the way up and beer on the way down. 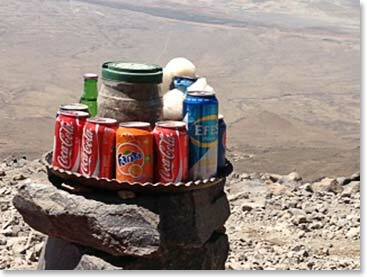 A regular stop on Berg Adventures climbs from Camp 1 to High Camp this season has been Coca Cola camp at 12,200 feet. It is run by our friend Bisar Cevarun. We climbed to coca cola camp in only 1 1/2 hours today. 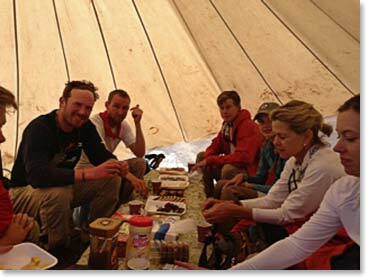 After four hours we had reached high camp at 13,600 feet. Here Woodie and Cary keep a good pace approaching 13,000 feet. 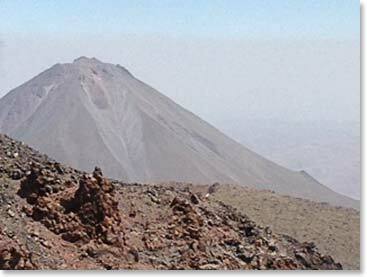 As we approached High Camp we had fantastic views of Little Ararat which is 12,877ft (3,925m). 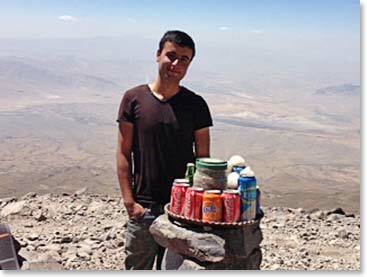 Mehmet had snacks waiting for us when we arrived at high camp. 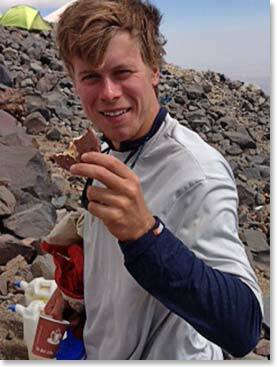 Throughout this trip Whit has eaten more moon pies than any of the rest of us. We were surprised to find how popular moon pies seem to be in eastern Turkey. They are certainly well known to our team from Georgia.